Laithers beat is an attractive stretch of river which offers excellent salmon and brown trout fishing. During June, Sea trout provide some exciting dusk and night time fishing. 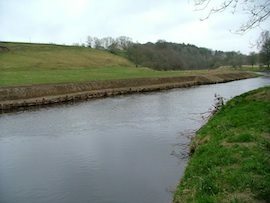 The beat enjoys two miles of south bank fishing on the lower Deveron, some three miles west of Turriff. The beat is served by an excellent stone-built fishing lodge, offering fishermen with comfortable shelter and lunching facilities.